The core metaphor of the gospel in the text for the day (Rom 8:12-17) was adoption. We have been adopted and made heirs of God. And that is important. 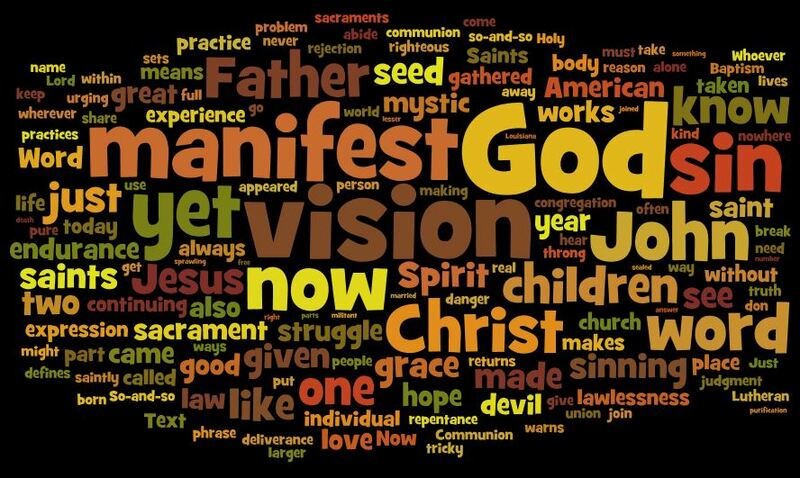 We sang Children of the Heavenly Father as the opening and the hymns carried that message throughout the service. But, that doesn’t seem to me to be Paul’s main point in the text. In Romans 7, which we looked at the last two weeks, especially last week, Paul is meditating on the role of the law in the Christian’s life. And he ends on a depressing note. I serve the law in my mind, but with my flesh I serve the law of sin. In and through the law itself I have no ability to keep it. The law is weak. What then is the answer to the law? The answer is the indwelling of the Holy Spirit. God has placed his Spirit in us which wars against the sin in our body. The power of the Spirit gives us the ability to strive after the law. It is not to our credit. We are debtors to the Spirit. 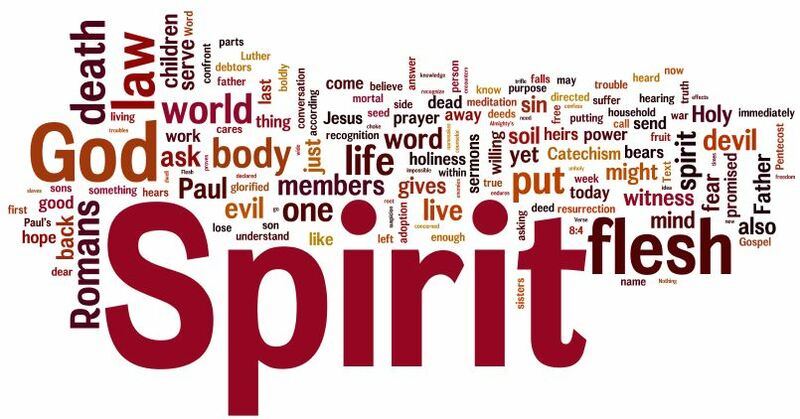 But, all who are led by the Spirit are children of God and put to death the deeds of the body, and they will live. But even though we are debtors, we are debtors as a child is a debtor to a Father. It is written off the moment of the expenditure. This article from the WSJ is not surprising but eye opening. The jumping off point is President Obama meeting with the Dalai Lama and the Chinese response. The background is that the US owes China a bucket-truck full of money, and China is one of the few places that has the ability to buy more of our nation’s debt. As a nation we like to support things such as religious freedom and self determination, we also like to spend more than we make. When confronted with the choice of reduced spending, or quietude on freedoms, which path does the nation choose? The Bible and specifically the Gospel of Luke is pretty clear both what it would expect Caesar to do, and what Jesus asks us to do. Luke 16:10-13 – you can’t serve two masters. Luke 22:24-27 – gentiles and great men lord it over their people. The lord was a patron – “the friend of the people” – and his clients were obliged to him. In the west, under the teachings of the church, that kind of vassalage, while not going away, had to be hidden. Read the quote from the Chinese official again. That kind of vassalage is coming back. He is shockingly blunt – a patron state telling a client state to look where its bread is buttered. The message of freedom in Jesus is that we have no real Patron but the Father in heaven. Instead of serving the things of this world – serve God first. Serve the God who came to serve us. Serve the God who adopted us into his family. In the church we are all heirs and children of God. That is a much different status than a client. It recognizes the true differences between creator and creature. You can’t serve two masters. Either it’s the hierarchy of Caesar and money or it’s the household of God. We owe Caesar and money respect, but they should not be our master. We should also not be surprised when the American Ceasar chooses to protect client relationships. If I were the Dalai Lama, I would not expect more White House visits.